Free standing punching bags were not always around. 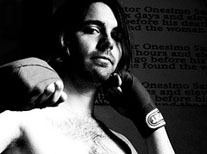 At one time, the only way to use a punching bag was to hang it from the ceiling. This is not a bad idea and most gyms still employ hanging a bag from their ceilings. But, what happens if you want a bag for your home or apartment? I of course did want one in the garage and now the bag has to rest on top of my car as I pull in the garage! Are you willing to drill a mount into the ceiling in order to hang a heavy bag? In the past, if this way not an acceptable strategy, you were pretty much out of luck. Then, along came the notion of a free standing punching bag. How does a free standing punching bag work? Basically, it is a traditional heavy bag that is affixed on top of a solid base. The base itself is quite reliable and not prone to being knocked over. There are two types of these bags. The first mimics a boxing bag and the other is a replica of a full length Muay Thai banana bag. So, Are these bags are just as effective as hanging bags? them as hard as possible and perform the same kickboxing, boxing, or MMA workouts that you could perform on a hanging bag, but the bag is not going to move like a hanging bag. 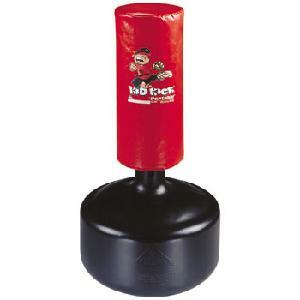 The base of these free standing punching bags are quite reliable and will not tip over. Most are at least 275 pounds. These bags have been properly designed to handle the stress of a professional or amateur workout without suffering any limitations. Additionally, when you are not using them, you can move them into a corner or closet and out of the way. When you need them again, you can bring them out. This is a huge plus even those that can use a hanging bag will appreciate. Or you can do like we do and put BOB XL in the window for added security. Really, we do! There is another plus associated with the "mobility" of the bag. Namely, you can move around the bag a lot easier since you can place it anywhere in a room. With a hanging bag, this may not always be possible since you may have limitations where you can hang it. If you have to hang it in a corner of a room then the ability to move around it in a 360 degree fashion will be rendered impossible. With a free standing bag, you will not have to deal with such an issue. 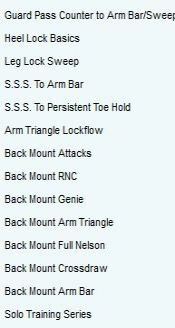 While there are a number of free standing punching bags on the market, some are clearly better than others. That is why it is best to stick with the top names in the industry since they are known to deliver the most reliable service. You could say Wavemaster started it all as it was the first free standing bag that was released in retail stores. The "half" bag is decent although it is not the best in terms of providing solid resistance. The full length banana bag, however, is truly tremendous and can take quite a pounding. There is a vey popular kid bag, called the Kid Kick. The height is great for little guys. Once your child reaches about 8 or 9 though, your going to want a heavier bag. While this one is great for little guys, your "big guy" might knock this one around. After say the age of 9, you want to look for a bigger bag. Century has a cardio bag, which you do not want unless you just do cardio kickboxing or cardio workouts. You can't really go wrong purchasing Century products. They are our number one supplier, and we support them wholly. Century put out a bag called BOB (Body Opponent Bag). Now this is a great realistic bag. I know that because it is almost always in the top ten seller list at Century. I never had a complaint when I used to sell BOB. Not to mention my son uses BOB XL every day! When you want durable, you want Revgear! Revgear's bags are quite expensive. As such, Revgear's bags get the highest recommendation. You can also get a donut to go on this bag for upper cut practice. Everlast has been producing excellent boxing and kickboxing equipment for decades. The MMA equipment produced by Everlast is equally impressive. The company has never produced a bad punching bag and its free standing bags are extremely impressive. They have just come out with a new bag that moves, simliar to a speed bag. It looks promising, but I have yet to try it out myself yet. 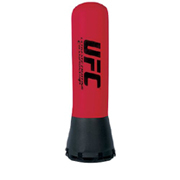 Now, would the UFC put its name and stamp on a punching bag that was not top of the line? This is another solid brand that delivers on all quality expectations. UFC has tremendous heavy bags. They also have a free standing bag that is sold at Kmart. It is unique and does not have a base like these other bags. It is not a bag I would buy, but it might be worth looking at for a youngster. Yes, there are scores of excellent free standing punching bags out there. Adding one to your MMA collection is highly recommended! And as always I leave you with the cheapest place to find free standing bags. Our store carries the top sellers which are BOB and the Wavemaster XXL. We also carry the KWON bags and TigerClaw. While not heavy bag their are a few other free standing products. Check these unique ones out. The Focus Master can be considered one of the more unique training devices for mixed martial arts, boxing, kickboxing, and even traditional martial arts practitioners, but it is moslty used for Wing Chun. This device can be considered a specially designed hybrid of a focus mitt workout and a heavy bag session. There is also the Focus Master Floor Stand. Did you know this dummy can be used for MMA? Most will state that a Wing Chun dummy is designed exclusively to develop trapping, aka locks. While locking (the legs and neck) is a part of Wing Chun, trapping is just one step. So, what would be the use of training on a Wing Chun dummy? Would it benefit those in MMA? Find out at Wing Chun Dummy.